Registration is Closed for ACE RDU 2018-2019 Program. Please check back in August to signup, or join our mailing list for a reminder! What does the ACE Mentor Program offer? 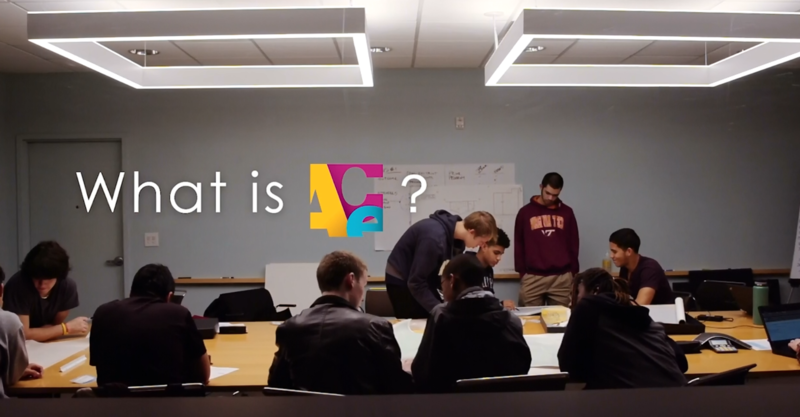 ACE is an after-school program for high school students who want to learn more about careers in architecture, construction management, and engineering. It is comprised of design and construction professionals who team together and mentor groups of 10-20 students during the school year. Team meetings take place after school for two hours (usually 4:00-6:00 PM). Participants must arrange own transportation. The program typically meets 15 times between September and March and enrollment is free – there is no cost to students to participate. Who is eligible to apply to ACE? High School students including freshmen, sophomores, juniors, and seniors. Those committed to actively attending and participating in regular team meetings. What are the benefits of ACE? Opportunity to win college scholarships and paid summer internships – ACE RDU awarded $10,000 in scholarships in 2017 alone! All other important documents such as Parent/Guardian Consent Forms and Student Account information are handled electronically with your student login. During the year, you’ll be exposed to design and implementation elements of architecture, construction, and engineering, and have the opportunity to practice and execute professional presentation skills. Registration is closed for the 2018-2019 school year. Please join us next year. Students from various schools in Wake and Durham counties are assigned to teams and meet at University facilities or at the offices of the architects, engineers, and construction managers. You’ll do hands-on activities such as building a bridge out of spaghetti and gumdrops or hand-sketches of your home. Special events may include tours of construction sites or campuses. Teams will collaborate to plan and create a project design and models to presentation at the Presentation and Awards Ceremony in the spring. How will I be assigned to a team? Teams generally meet weekly on Thursday afternoons from 4:00pm-6:00pm. On your on-line application, indicate which location you would prefer to meet at. We will try to meet your preferences. Once you have been assigned to a team, you will meet according to your team’s calendar. You will be added to an email list and receive an invitation to Student Orientation where you will receive information about this year’s program. Refer to our calendar for a full list of events. To get the most of the ACE experience, we hope that you will regularly attend team meetings and events. Your mentors volunteer their time in preparing and participating in sessions for you. Out of respect for their efforts, please let your mentors know if you cannot attend a session. Also, share your ideas, opinions and suggestions with your mentors and fellow students. Remember this program is for you – you can make it an even better program if you communicate your interests! Only students who have been active in ACE during the school year are eligible to apply for an ACE scholarship. Students who wish to be considered submit an on-line application when the application process begins in the spring. Winners will be chosen in consideration of their outstanding participation in ACE, academic record, and mentor recommendation, among other criteria.